Graduate of Faculty of Law and Administration of the Adam Mickiewicz University in Poznan. Member of the Greater Poland Bar Association since 2006. He passed his advocate training with distinction. He also graduated from International Relations Department of the Adam Mickiewicz University in Poznan with specialisation in Eastern Studies. 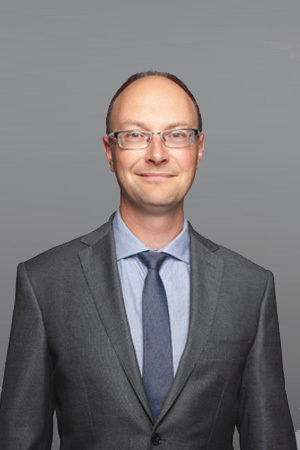 Attorney Tomasz Kirstajn has over a decade of experience in advising corporate and individual clients. Over the period 2010-2018, he was a partner in Malczewski Stoczczak Matyaszczyk Legal Limited Liability Partnership. He was leading a multiperson team and providing comprehensive legal service to industrial, construction and food enterprises. Currently, apart from supporting local Polish companies, he provides advice to companies with French, German, Scandinavian, Czech and Middle Eastern capital. His main interests are focussed in business and company law, contracts and legal aspects of processes aimed at streamlining operation of his clients’ business. He has very good experience in employment/labour law matters. In the area of business law, he has to date represented his clients in several hundred proceedings before business and administrative courts, as well as various governmental agencies. He also advises in international litigation matters. He is also interested in human resources management and marketing (including internal marketing). These interests contribute to his excellent close working relationships with the boards of directors, support of human resources and sales teams of companies he provides advice to. Auditor and author of the documentation required by GDPR (regulations concerning personal data and privacy law). He deals with implementing legal systems of personal data protection created for the needs of particular enterprise. In negotiations and disputes – where possible and justified – he relies on conciliation and develops reasonable agreement. It allows the parties to maintain economic relations despite a temporary crisis. A vast majority of litigations handled by the attorney result in agreements. That lets the clients to save time and money – owing to this they can focus on their own business, not on the absorbing proceedings. Attorney Tomasz Kirstajn is an arbitrator of the Court of Arbitration for the Chambers of Commerce and trade organisations (by the Greater Poland Chamber of Commerce). He conducts trainings for entrepreneurs, self-governments and business environment institutions. He was the speaker during many national and international conferences related to law. A member of European attorneys network Euromed Avocats. A co-operator of a French legal expert group Lex In IT. A participant of scientific projects in European Union related to comparative law analysis. A member of The Foreign Affairs Committee by the District Bar Council in Poznan. Member of the Regional Chamber of Commerce and Industry, appointed a representative of Mediation Centre by RIPH. Excellent speaker – awarded in numerous public speaking contests organised by the Polish Bar Association. The winner of Procter&Gamble Contest for the best university graduate in Poland. Attorney Tomasz Kirstajn works in English and French languages. He is also able to communicate in basic Russian.